Leaving a legacy in the form of an endowment fund (which can be created in your name, your family name or the name of another loved one), will provide long-term income for Chalice's programs because your funds are held in perpetuity and prudently invested. 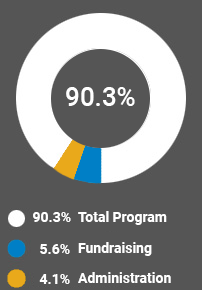 The income generated from the investment will be spent each year to support our programs around the world. You can set up an endowment fund now or leave a gift in your Will to establish your endowment fund. Be sure to contact us at Chalice to talk about the gift to ensure it can be carried out according to your wishes. Talk to your financial advisor to determine the charitable gift that is best for you. For more information on creating an endowment fund or another legacy gift please contact Marilyn Hall at 1-800-776-6855, ext. 202 or email her at marilynhall@chalice.ca.